It seems my girls are based on a couple of fairytale characters. 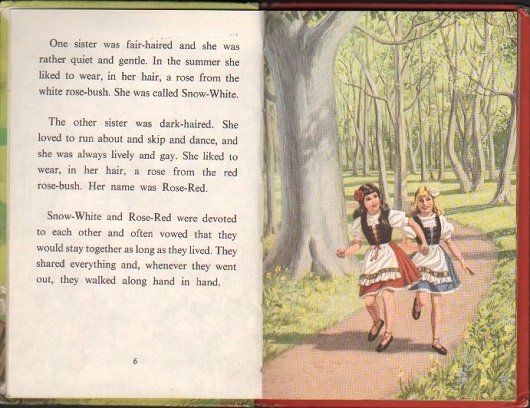 These two sisters; Snow White and Rose red, I knew from a book of Grimm Brothers fairy stories, as a child. Its not very popular and I thought I might have dreamedit all until I found this Ladybird Book version in a charity shop recently. 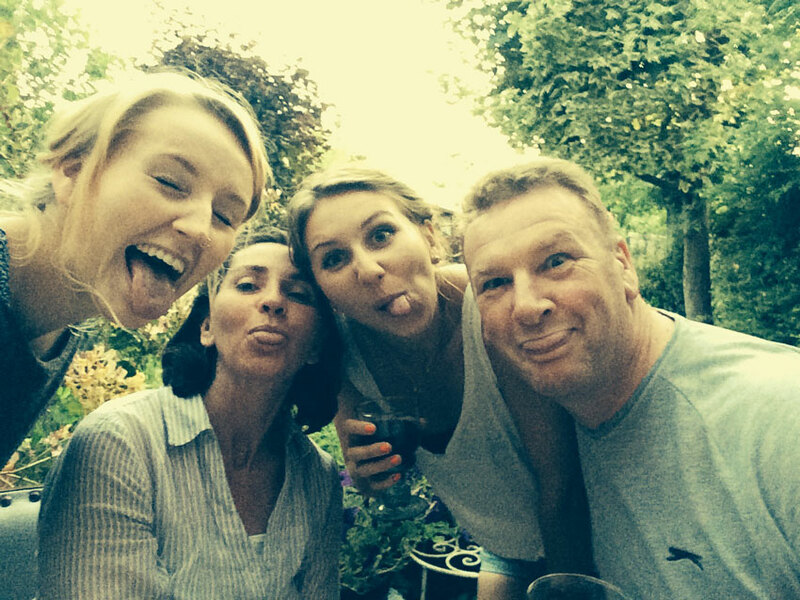 I have told my girls about the story as they have grown up, but they just thought I was as crazy as usual. Still, we have always had one little red rose bush and one white in our garden. 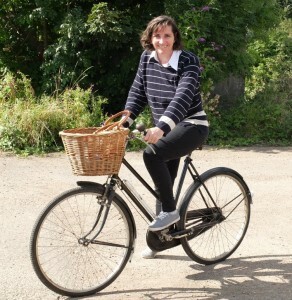 Went shopping at the weekend on bicycles. What a fabulous way to shop; we had to take a road out to the end of Cossington but after that, it was all leafy lanes, canal tow paths, the sides of lakes, edge of Syston playing fields and then along the brook to the village centre. 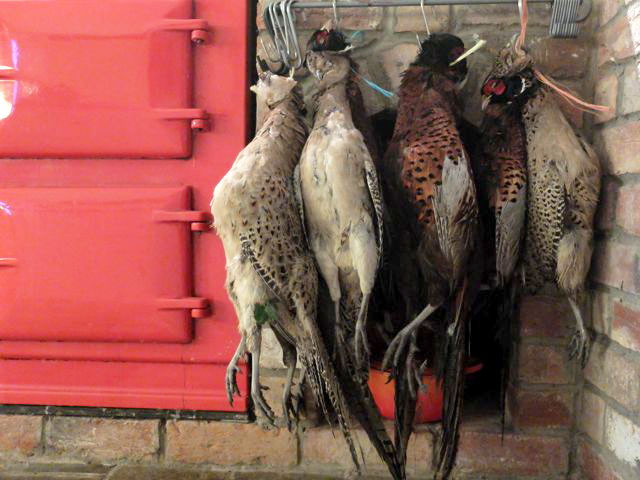 There are cycle racks at the side of the brook and the world’s best butchers just over the road. To all of those ‘serious’ cyclists who race past me doing forty miles per hour and sneer a little, at the way I give cyclists a bad name by not wearing a cycle helmet, can I just say that I’m doing about twelve miles per hour on a canal tow path and so I’m unlikely to sustain much more than a scrape when I fall off. Secondly, I’m not frightening the bejasus out of pedestrians and anyone trying to step off their own boat! Pedestrians tip their hats to me and thank me for having a bell to announce my presence. People seeing you tend to dive into hedgerows. People not seeing just lurch sideways and clutch at their chests. If you do forty mph round Watermead Park and had any desire for the good name of cyclists, you’d have to provide crash helmets for all pedestrians. Its not yourselves who are in danger of head injuries here. 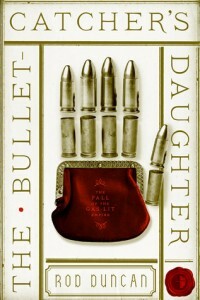 The Bullet Catcher’s Daughter, by Rod Duncan. I have loved this story since I first heard Rod read the very first line from the very first page. 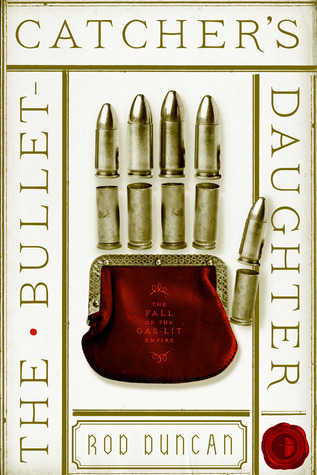 It was an except from The Bullet Catcher’s Handbook and so full of beautiful language and subtlety, I knew it would satisfy my love of nostalgia as well as good story-telling. I have just learned that my review of Rod’s book has been chosen as one of those in a ‘best of’ list and that makes me very proud. Rod Duncan’s fabulous writing takes you to places you never knew you wanted to go. I never knew I was a fan of Steampunk! He has created a world in the Gas-lit Empire that is so completely believable, it affects you long after you’ve put the book down. Elizabeth Barnabus is a heroine for our time; Lizzie Bennet meets Lara Croft. She finds adventure between the grinding difficulties of life in a misogynist world and with constant threats from overbearing authorities. (Well which of us hasn’t been there.) To these problems she finds solutions that are intelligent and elegant, but is not above tucking a pistol into her stocking top should the need arise. 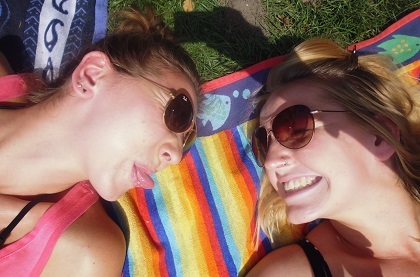 I Love that my girls are such good friends. They have always played together and looked after each other. It used to be tea parties in the bay window and fairies on the lawn. Now it’s music festivals in Budapest. Cain’t live with ’em… cain’t sell ’em for parts. 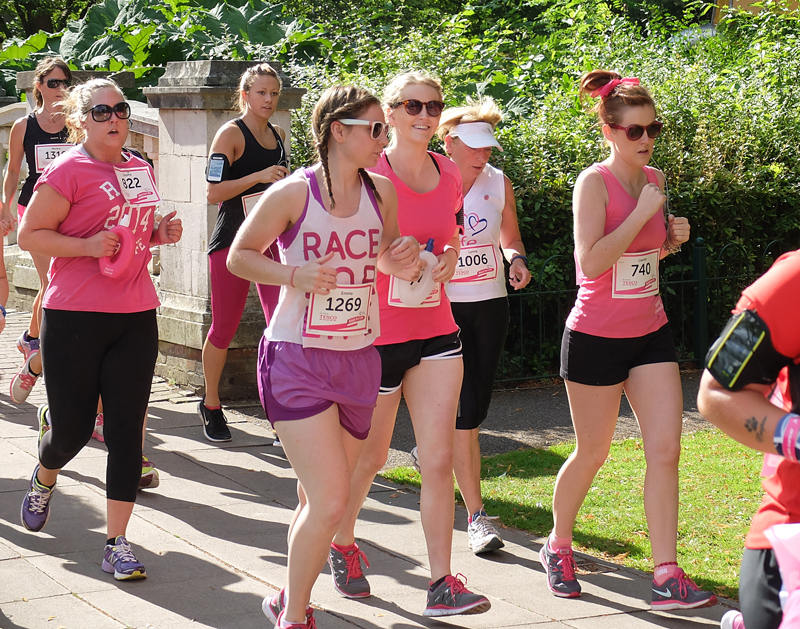 Erin made us very proud running the Race for Life in Loughborough. Thank you Emma and Lauren for being so supportive. those they have lost. I didn’t know any of them, but it still made me cry. When our daughter was 2 years old, she would go to bed with a bottle of milk. 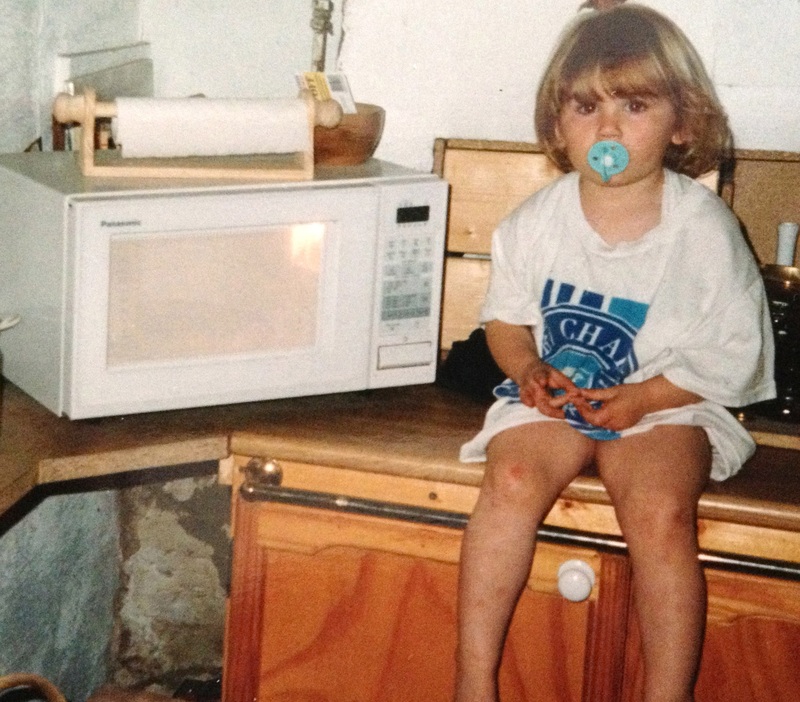 She was impatient and it placated her to sit by the microwave and wait for the ‘ping’. 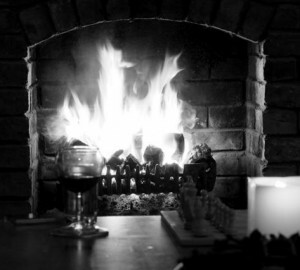 We used to tell her how ‘in the old days’ she’d have had to wait a lot longer, for water to boil in pans, then for the milk to heat and cool again. We worried that microwaves and McDonalds would make her expect everything instant, and that we’d never get the chance to do anything slow again. We were new at everything then; parenting, furnishing a house, we had only our instincts to guide us. 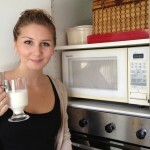 We chose this compact microwave for its whiteness and to make the best use of space. 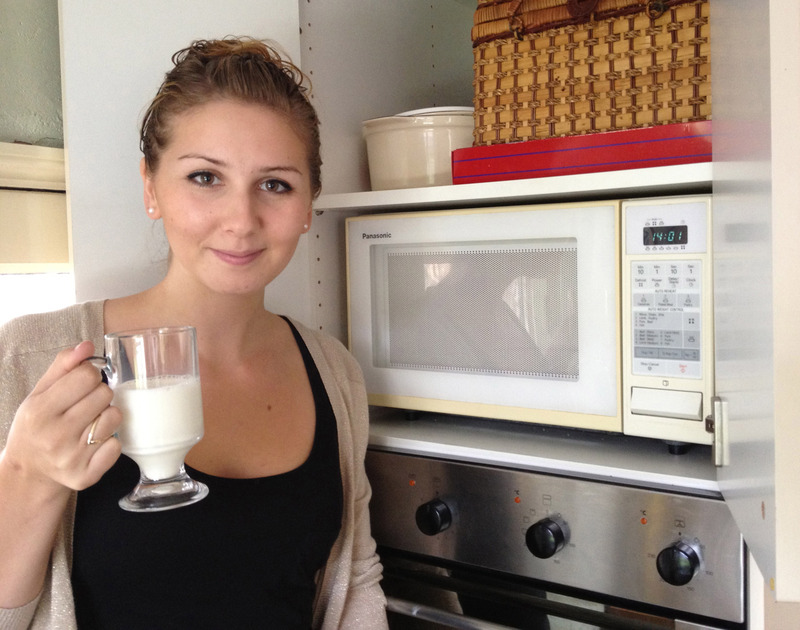 Most other microwaves at the time were brown or silver and the size of a small fridge. Our daughter is now 23. She lives and works in France and had to exert great patience to get there.When she comes home and cooks us French cuisine, she uses our Panasonic microwave oven, recently pictured. This is not the same model of Panasonic, it is the same Panasonic. 21 years on, it is still a perfect fit for my brand new kitchen and the technology has not dated. The edging trim has yellowed a little but my new kitchen is cream so it suits. It still defrosts because we are all impatient, and it still warms and cooks for us, like the nanny that stays long after the child has left home.